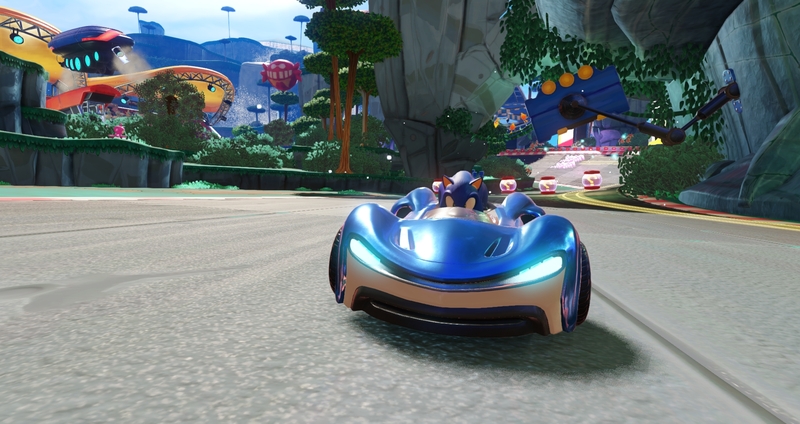 Sega has been steadily rolling out content ahead of Team Sonic Racing‘s May 21, 2019 release date, largely focusing on YouTube-based soundtrack drops. However, this time, Sega’s official, Japanese blog did a big post on a brand new track, this one being set in the middle of a volcano. Appropriately titled Hidden Volcano, this stage is actually set in the middle of an ice-based area, which factors into the look and feel of the stage. Unfortunately, as cool as this stage looks, it’s a shame there’s no hot, new music arrangement coming along with it. We admit to being spoiled a little by the previous round of reveals. That said, this announcement came with some spicy concept art, which you can see at the top of the article. That’s a pretty solid tradeoff for now. Team Sonic Racing is the third Sega-adjacent racing title from Sumo Digital, this time with elements based on cooperation in the middle of a race.